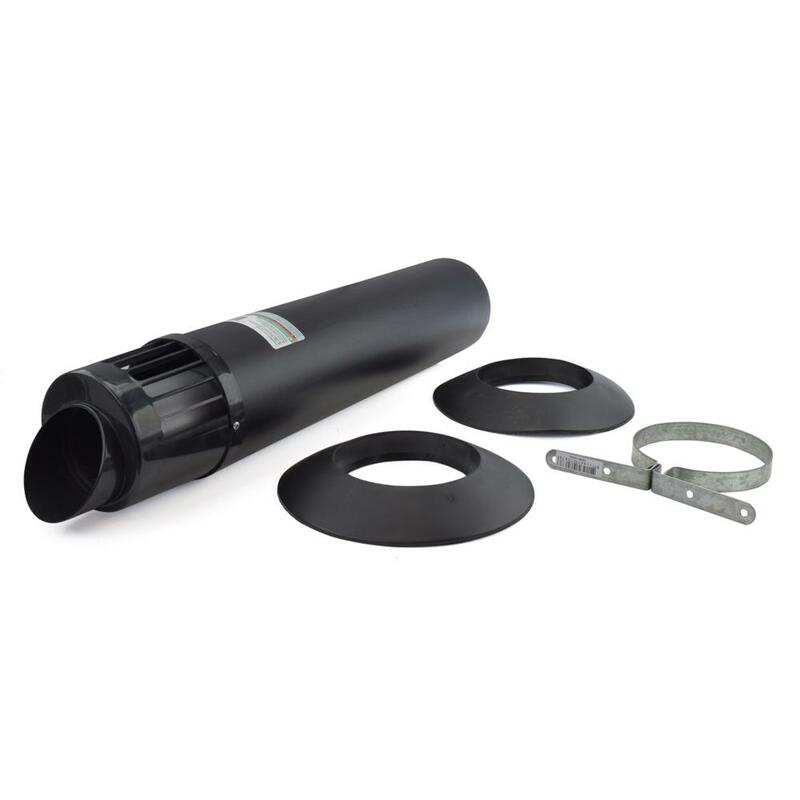 The ICWT242 from Centrotherm is a Wall Termination Kit for 2”/4” Innoflue Concentric Vent Pipes. The kit includes a wall termination adapter, (2) wall plates and support clamp for 2"/4" Innoflue concentric vent pipe. It incorporates flue exhaust and air intake into a single unit. Can be converted to SW (Single Wall) piping using ICTC0224 adapter. Overall length: 21.2". Adapter max. OD (for wall opening) is 5.54". UV resistant, black color.